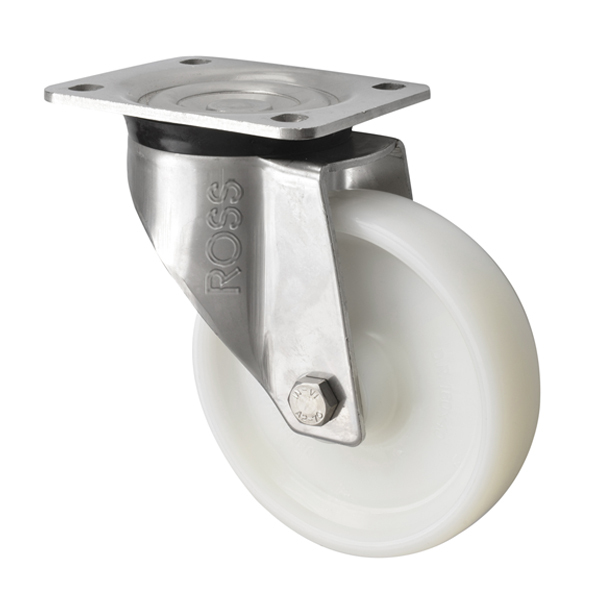 HSS Series of Heavy Duty Stainless Steel Casters with a heavy duty nylon wheel are ideal for anti corrosive applications where load capacity, strength and durability are key. Available in three sizes as either swivel, fixed or braked versions. These stainless steel casters are the strongest and most durable in the range.